Known as the “Cherry Slushed Ice with Bubble Gum Nose,” Super Mario Bros Ice Cream Bars came out after the release of Super Mario World. 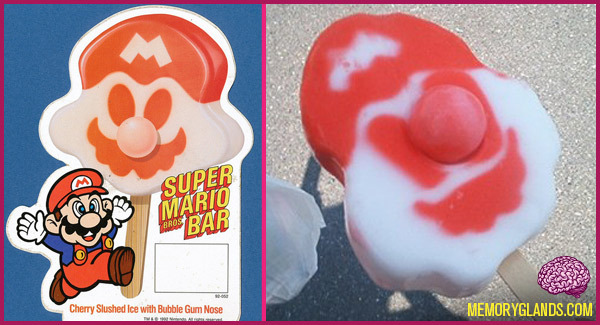 They were shaped like Mario’s head and presented on a popsicle stick, with a randomly-colored gumball for a nose. They have since been discontinued.